Hey guys , This is my first draw . 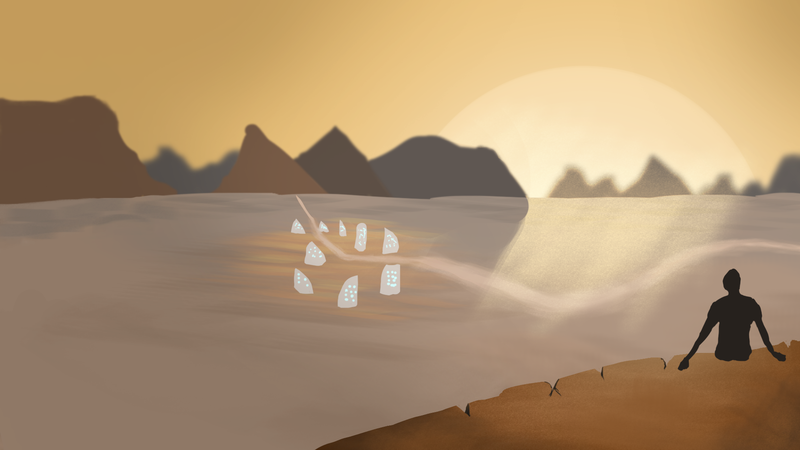 Any suggestion to my improvement ? Point it out , please ! hey MotherOfPigs! welcome to crimson daggers! why don't you check out Andrew Loomis' Fun with a Pencil and Drawing Heads & Hands? You can find them as a pdf and it's a great thing to start with. I second Loomis. 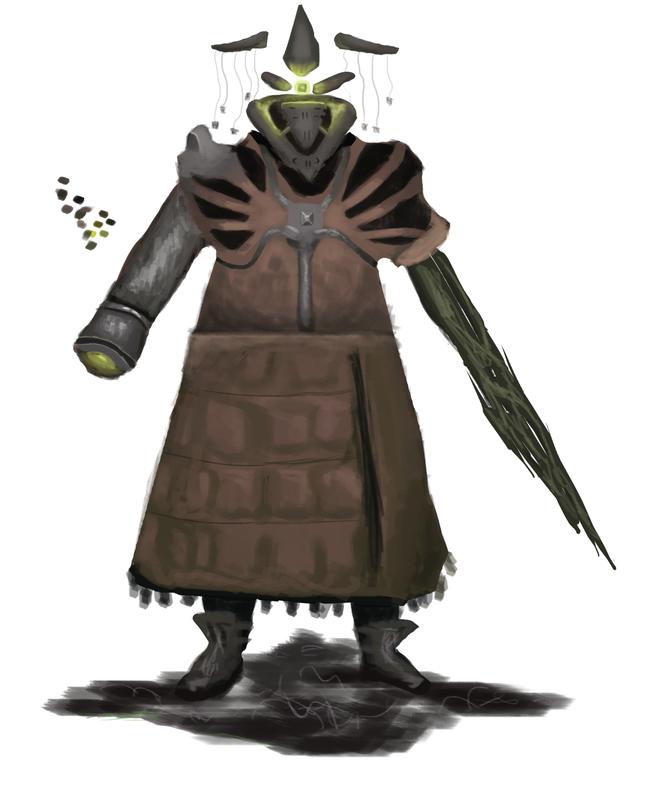 It would help you continue with this style of drawing and also with constructing forms. (01-21-2017, 02:43 AM)gregorkari Wrote: hey MotherOfPigs! welcome to crimson daggers! Thanks a lot gregor !!! I surely will check it :) thanks for the recommendation !!! (01-21-2017, 02:53 AM)ThereIsNoJustice Wrote: Hello, MOP! Thanks no justice :) !!! 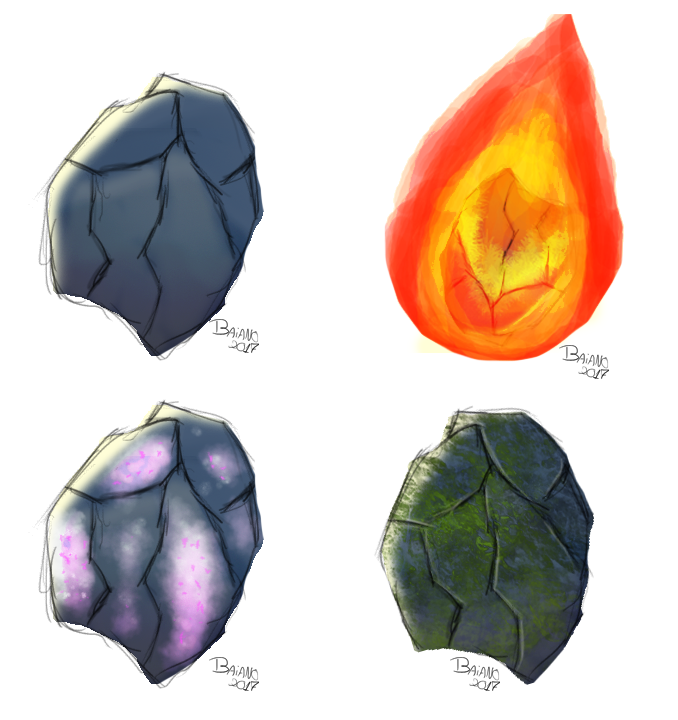 Speed paint of a little rock on some different moods. Any commentary or critic would be awesome. 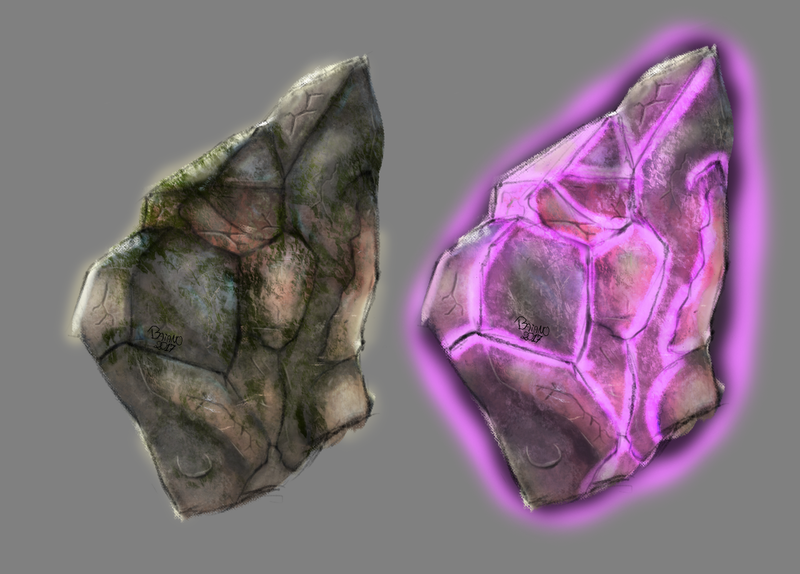 Trying to paint a reallistic rock and a alien version of the same rock. Any commentary or critic would be awesome. 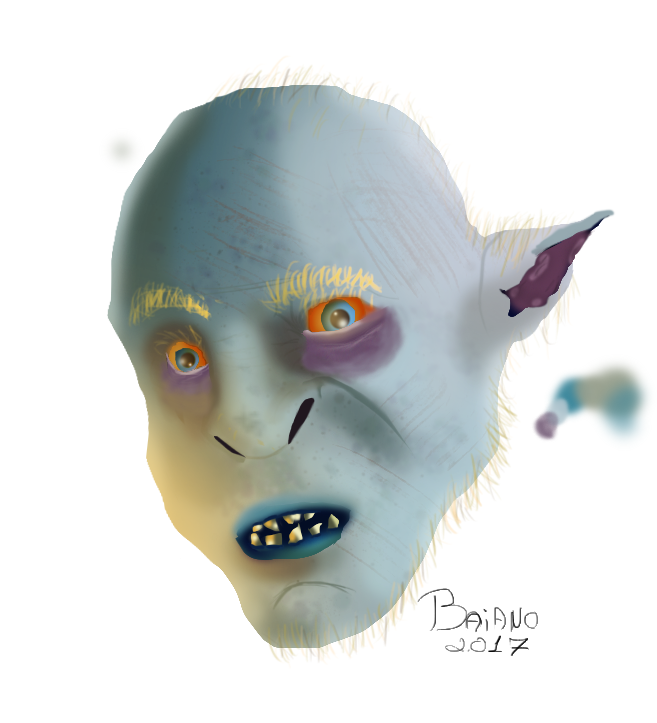 Orc? Troll? Goblin? A mix of everything? Commentaries and critics would be awesome!!! 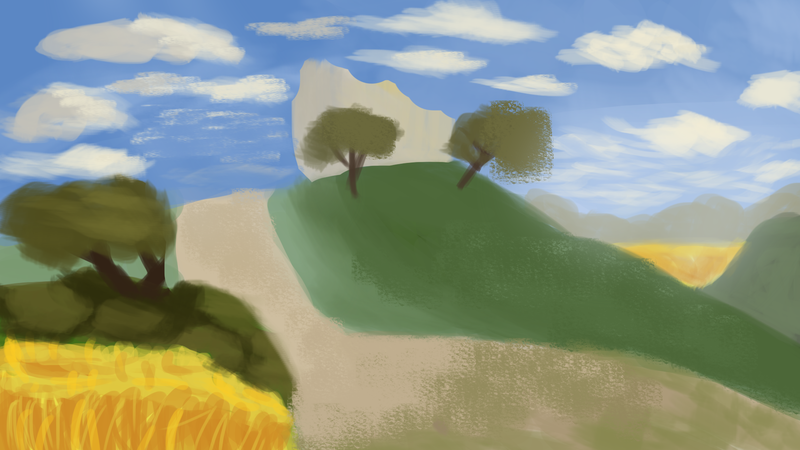 Some studies about light and values, about 30 minutes on each. PLEASE point out mistakes and give me tips if you have one!!! Feel free to criticize anything that you want! Hey, MotherOfPigs. You have a good variety of exercises in your SB so far. Keep up with the orb lighting/value studies... it's good to do a ton of these to improve your understanding on light. If you haven't already, take a look in Dorian Iten's lighting course. It helped me understand lighting so much more. However, with stuff like the eye in the post above, I think you're running before you can walk. The way the eye and eyebrow is constructed isn't correct. Alongside studying Loomis, I think you should look into Scott Eaton and his facial anatomy course. He explains the construction of the face very well. On top of that, I would also highly suggest Proko's figure drawing fundamentals course (I think it's called that lol). It's a great course and really helps training your eye and methods of constructing. I recently spent the last week going through it and learnt so much from it. It seems your sphere didn't catch some of that reflective light from the surface its sitting on. And the cast shadow don't seem to be consistent with where the light source is located.. I suggest you do another sphere study. Given the links, it's probably better for you to work it out on your own first now you have some additional information on them. I'm also currently working out on my spheres that I don't think I'm in a good position to hand out a well thought out critique on this subject. With that said, good luck. It's debatable whether or not what you're trying to achieve is indeed impossible. One thing's for sure: it's impossible to defeat a person who doesn't know how to quit. (06-07-2017, 07:59 PM)chubbycat Wrote: Hey, MotherOfPigs. You have a good variety of exercises in your SB so far. 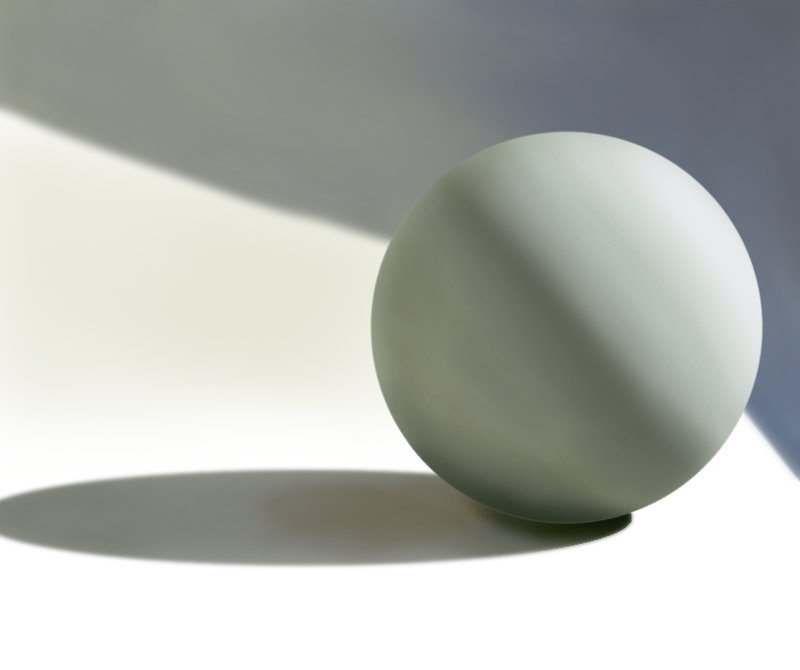 Keep up with the orb lighting/value studies... it's good to do a ton of these to improve your understanding on light. If you haven't already, take a look in Dorian Iten's lighting course. It helped me understand lighting so much more. I discover Dorian yesterday and its seems really awesome! I will keep up my studies on light and values and them move forward to Scott Eaton like you recommended!!! About the eye... 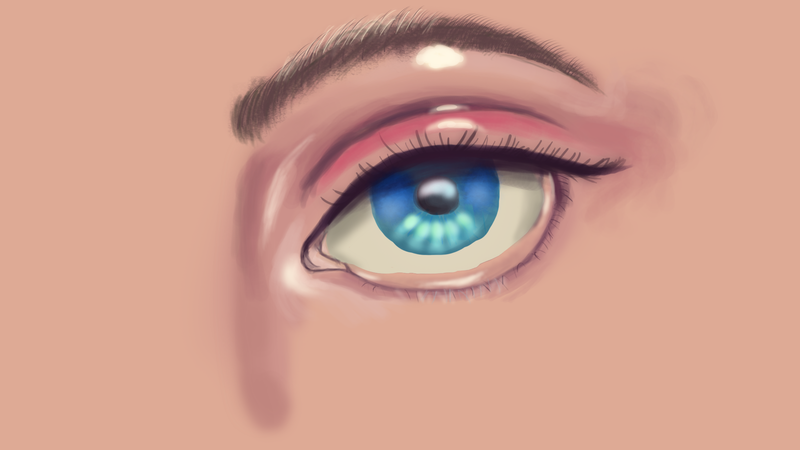 I am afraid that my poor drawing skills block my improvement on paint, I always see pro artists saying that a lot of good professionals miss on the fundamentals of drawing... but i do not want to stop paint for learn drawing, so I will try to learn both draw and paint together, hope that eventually works out! (06-08-2017, 12:23 AM)John Wrote: Hi MotherOfPigs. Trying eviroment again, trying to complain less and do more. Keep going, keep painting. For enviros praps going through this thread will help. Demo vids and more theory stuff on my YT channel. Current time: 04-24-2019, 01:53 PM Powered By MyBB, © 2002-2019 MyBB Group.